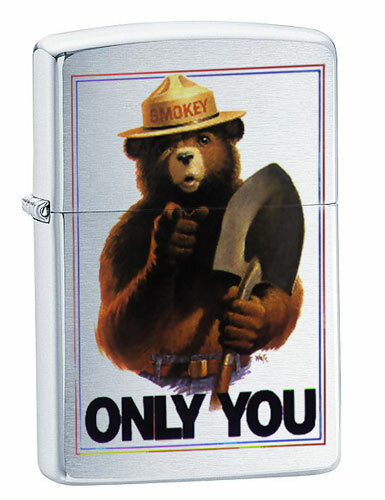 I mean the idea of a Smokey the Bear Zippo is so pleasantly wrong. Not that I would want to start a forest fire. I live in a forest. Arson is BAD!! !